Heat oven to 350°F. Line 2 large cookie sheets with cooking parchment paper. Remove dough from can but do not unroll. 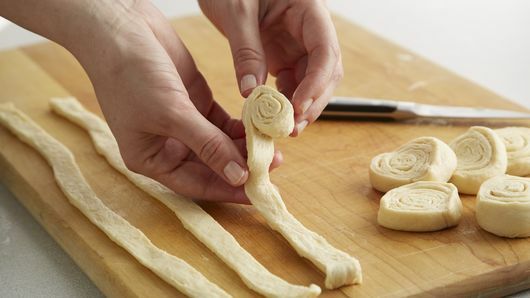 Cut dough into 12 rounds. Unroll each round to make 12 strips. Cut each strip in half lengthwise to make 24 strips. 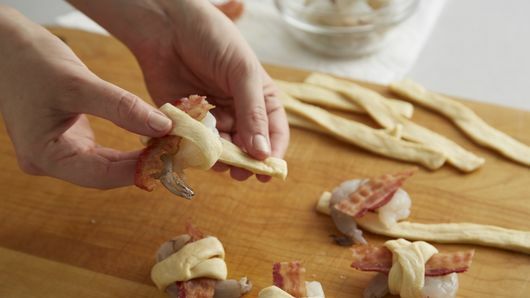 Place 1 shrimp at the end of each dough strip. Cut each bacon strip in half to make 24 pieces. Place 1 piece of bacon on top of each shrimp. 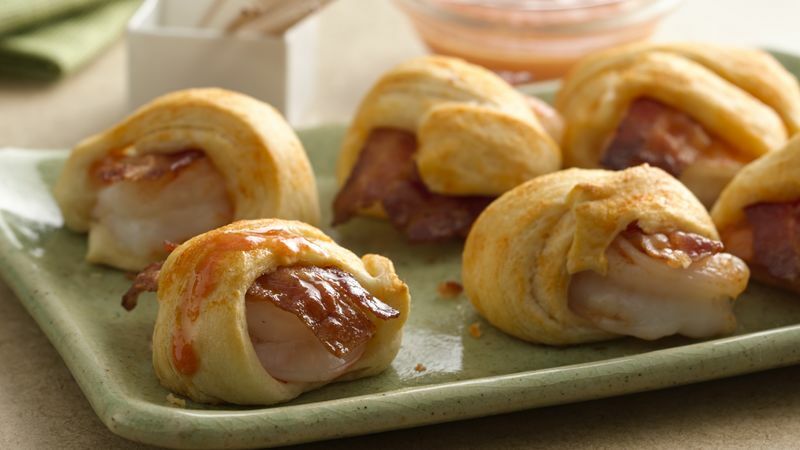 Starting on shrimp end, roll up dough around shrimp and bacon, pinching edge to seal. 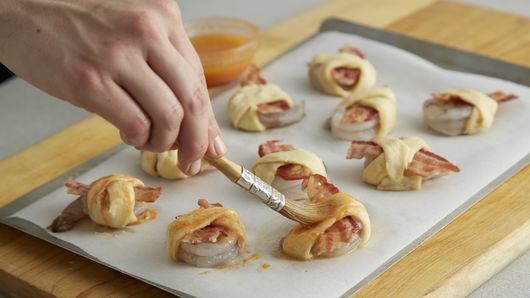 Repeat with remaining dough strips, shrimp and bacon. Place shrimp poppers, seam sides down, on cookie sheets. In small bowl, beat butter and Sriracha sauce with whisk. Reserve half of the butter mixture for dipping. Brush remaining butter mixture on top of shrimp poppers.